Ella Rhodes reports on work with refugees. 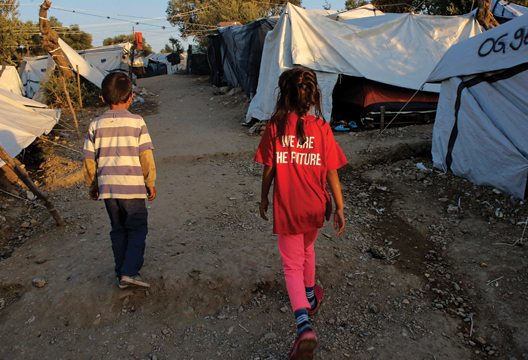 Two NGOs working with refugees in Greece have announced a project to extend their programmes of psychosocial support across the country. Baytna – which means ‘our home’ in Arabic – has been used as an approach by The Refugee Trauma Initiative and Help Refugees to provide children and their parents with psychosocial support and education. The Baytna Hubs project will make this support available to hundreds more children thanks to funding and support from Open Society Foundations. Since its establishment in 2016 the Baytna programme has supported almost 800 refugee children and their parents. It is intended to provide a safe space which encourages learning through play, families’ self-expression and emotional regulation. Baytna was featured as a model of best practice by the World Health Organisation’s Nurturing Care Framework and the UN Global Education Monitoring Report 2019. Open Society Foundations has offered NGOs across Greece support in building their capacity, technical and operational support, and grants up €25000 over a twelve-month period.